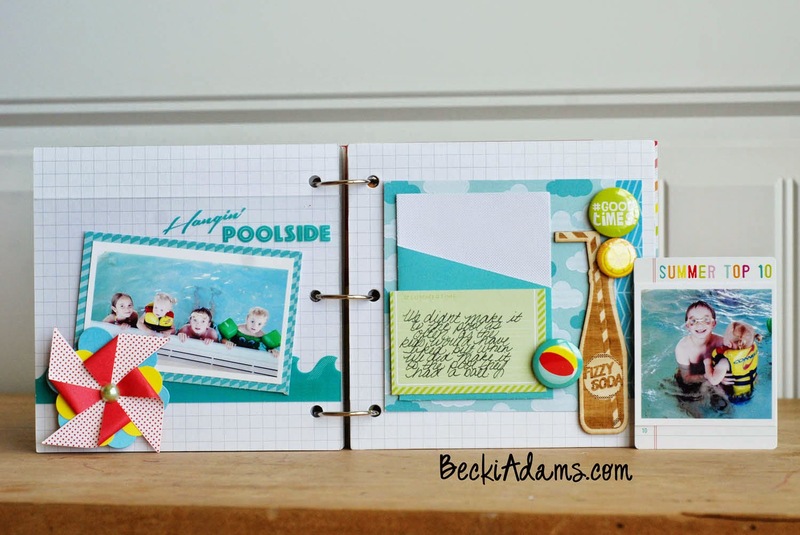 Why didn't you remind me that I needed to show you my completed Summer album? Oh, you forgot about it? Me too ;) I forgot about it until my kiddos were looking at it the other day. Today, I'll share it with you, finally. You can see the album at the beginning of our Summer HERE. We didn't accomplish everything on their bucket lists but overall they had a really great Summer. I didn't change anything on the cover. I really like how it was when I started the album. The highlight of our Summer was the road trip we took to Nebraska to see my brother and his family. The kids LOVED our trip! It was a little rough on me. I am not a fan of long road trips and I came home with a case of strep throat. All in all, we had a great time and I loved spending the time with my family. I should have counted how many watermelons were consumed at our house this Summer, or maybe it's a good thing that I didn't. 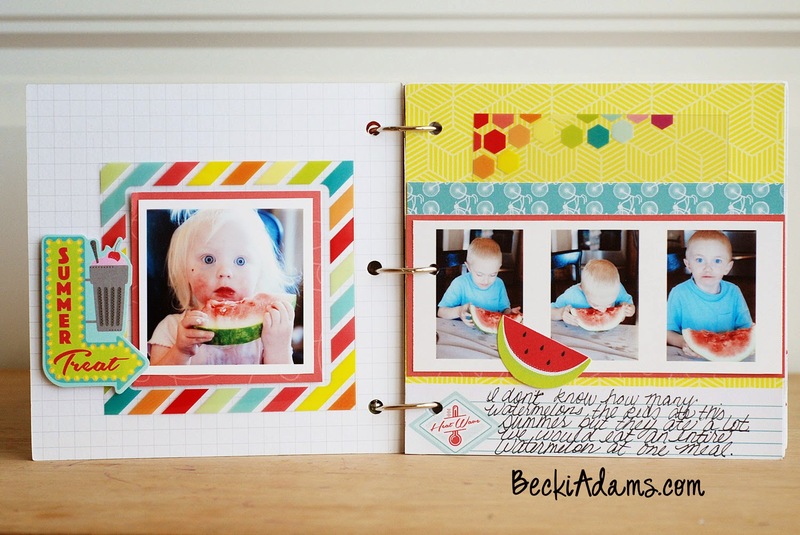 There were a few days when we went through 2-3 watermelons a day *yikes*. The first half of our Summer was all baseball and softball. The kids were in heaven! Mom and Dad were excited when there was a little less running around to do. We're so proud of the kids they did so well. 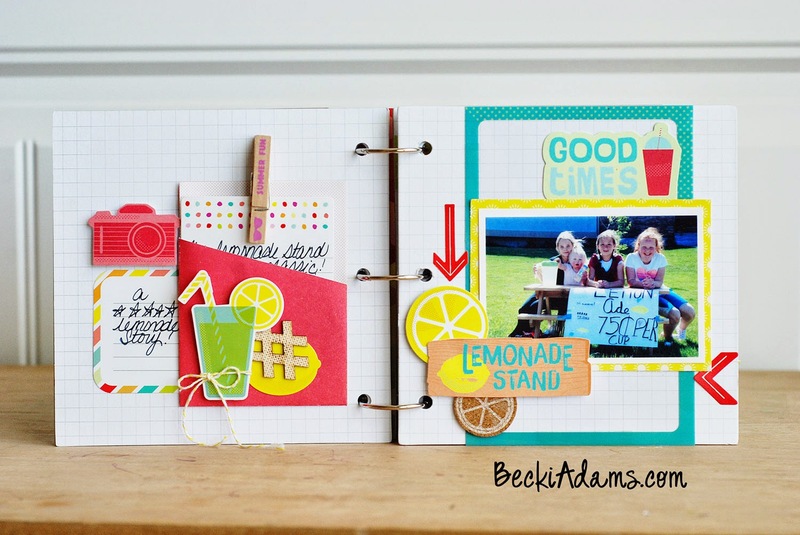 The lemonade stand has the best story of the Summer! A few of the little girls in our neighborhood set up a lemonade stand late one afternoon. They were so excited but only had a few customers. I called my mom and asked her to stop by on her way home from work. When she pulled in the driveway and saw their sign that said, "five star lemonade" she commented on how the lemonade must be really good if they named it "five star lemonade." My daughters friend piped up and said, "well, we made the sign before we actually made the lemonade so...." (then she just grinned and shrugged her shoulders). We laughed about "five star lemonade" for days! We did make it to the pool a few times. (The kids didn't think it was enough, shocking.) I was so excited to get a few decent photos at the indoor pool. The page on the left is documenting the vast amount of groceries we went through each week when we had 6 kids in the house eating 3 meals a day. The grocery store accountant loves it when I walk through the door! They know I'll be leaving a good chunk of cash when I leave. The page on the right documents celebrating my little man's 5th birthday...I still don't want to talk about it. I can't believe my baby is 5. This last 2 page spread is a little bit random that just documents some of the random fun things we did. We did a lot of playing with cousins and eating popsicles on the porch. 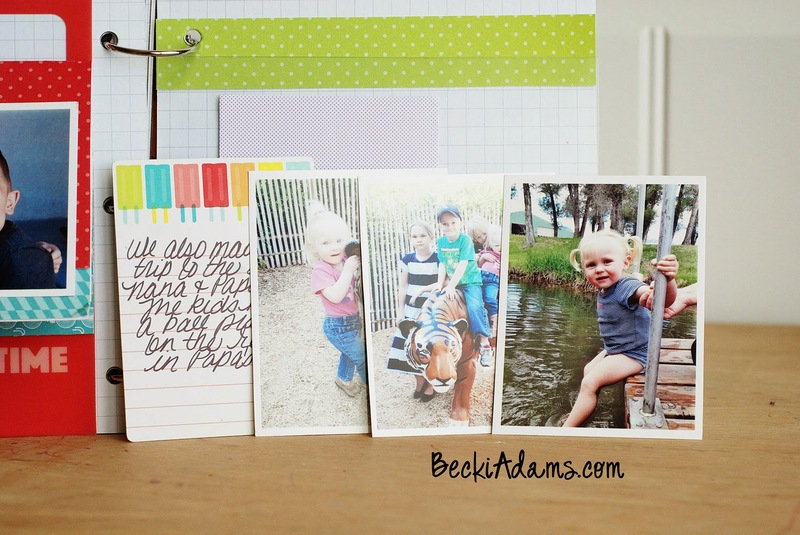 I hid a bit of journaling under the photo...sneaky, I know. 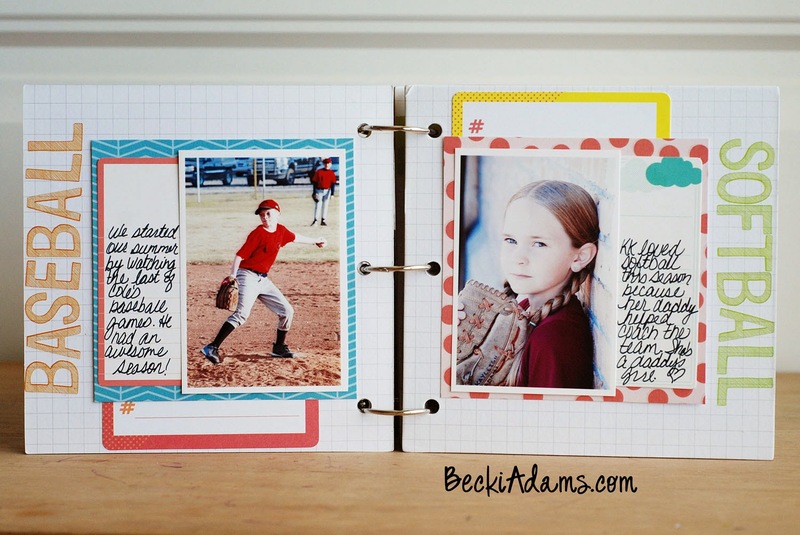 I tucked a few photos and some more journaling in the pocket on the last page. These photos and journaling document a quick day trip we made to see my grandparents and a morning we spent at the zoo. 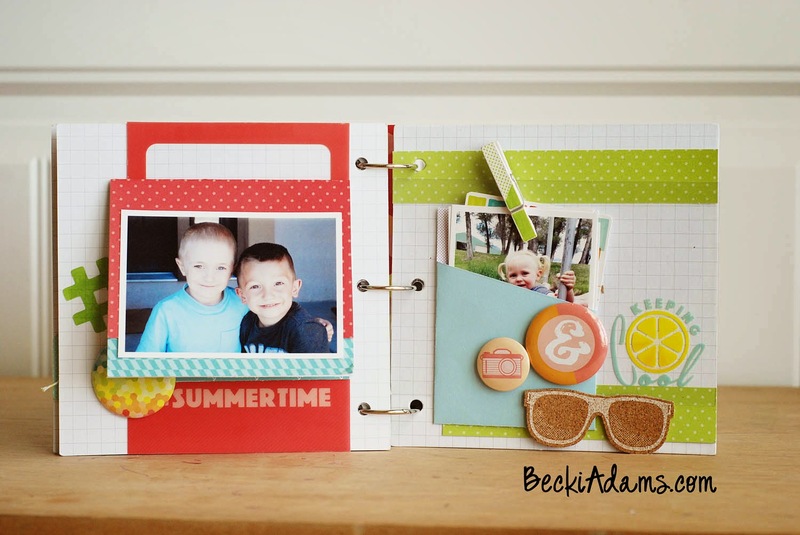 Do you have your Summer photos scrapbooked? Don't worry, I don't either. I still have a long way to go. I really want to get an album done with all the photos I took on our Nebraska vacation. Maybe that will be my project when the quietness of January comes. Lovely mini! 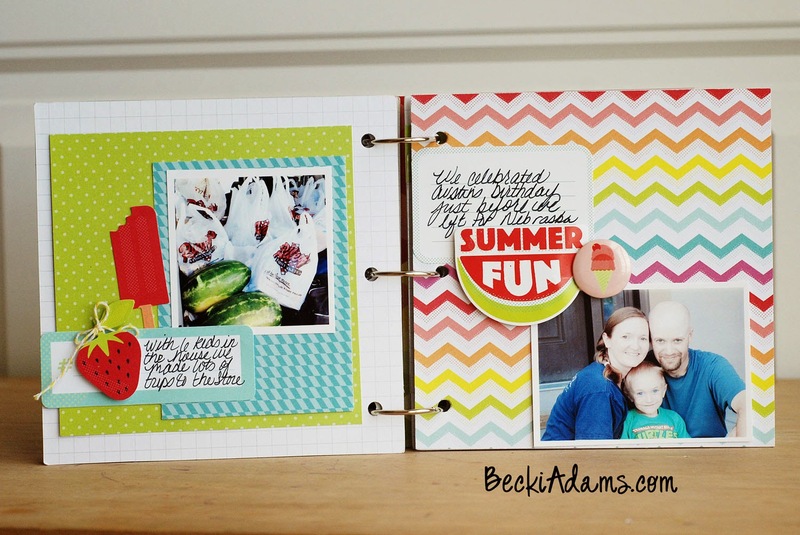 I have so many summer photos to document! 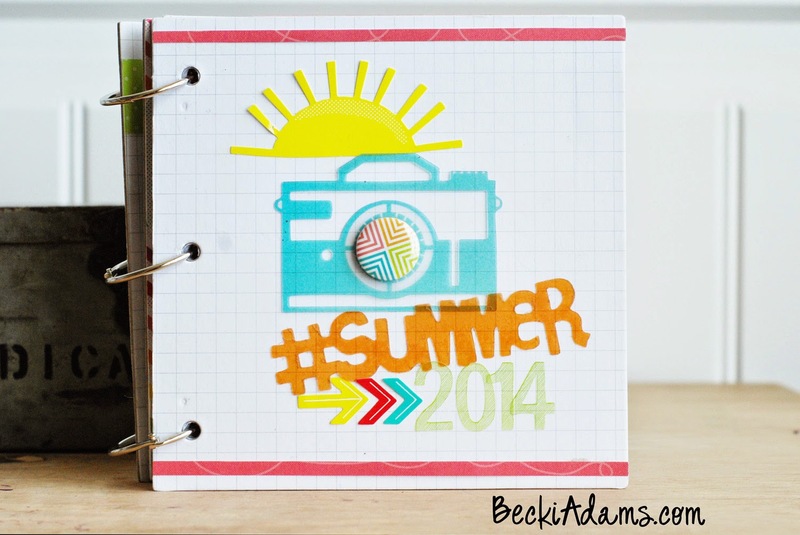 Week in the Life 2014, Complete!